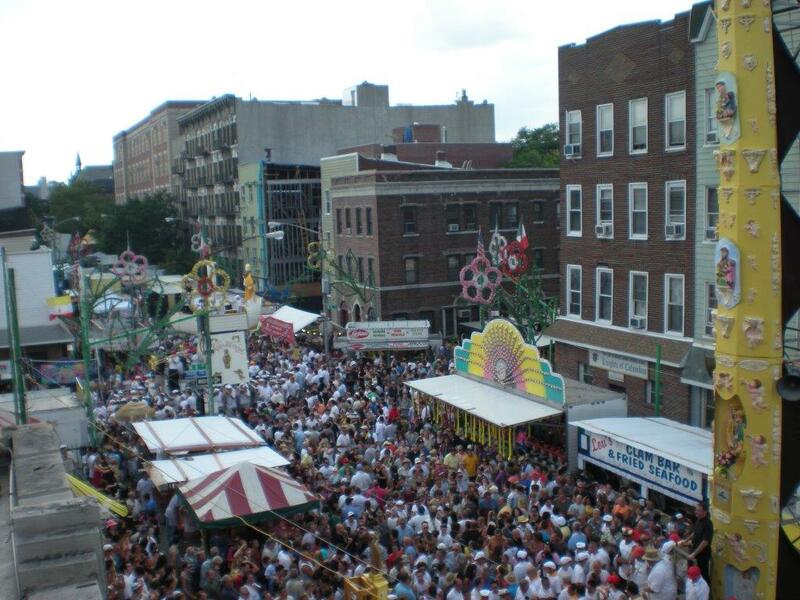 From July 8th – July 19th there are many activities, food and fun for the entire family. 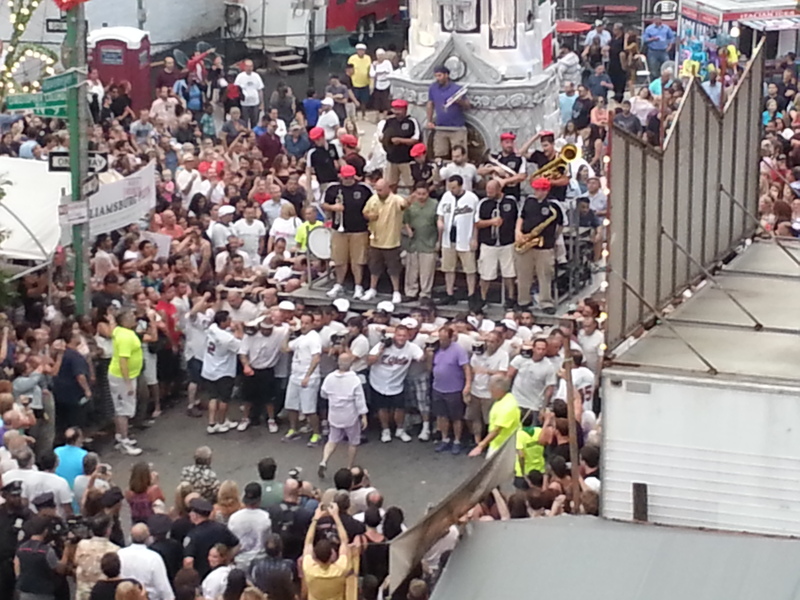 Giglio Lifters pass the labor-of-love tradition from Grandfather to Son to Grandson. 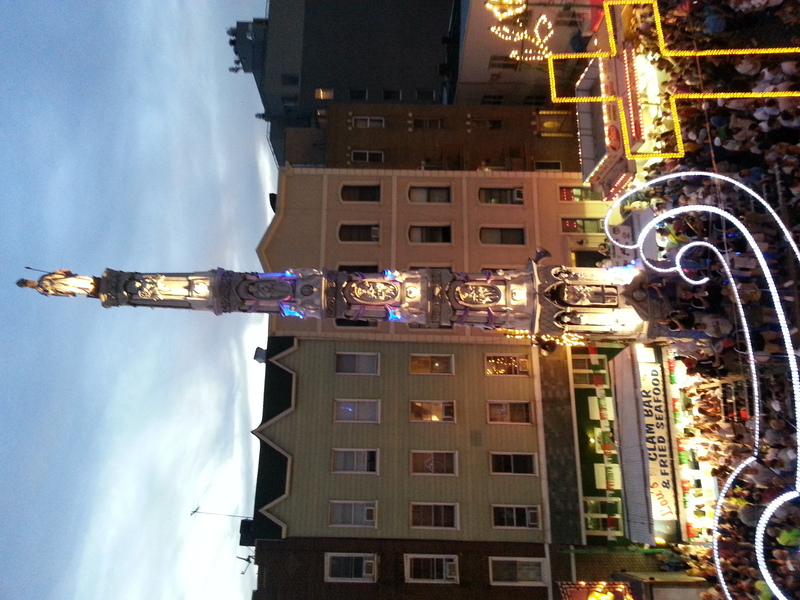 The illuminated Giglio Tower at night, once seen, is a never-forgotten sight. 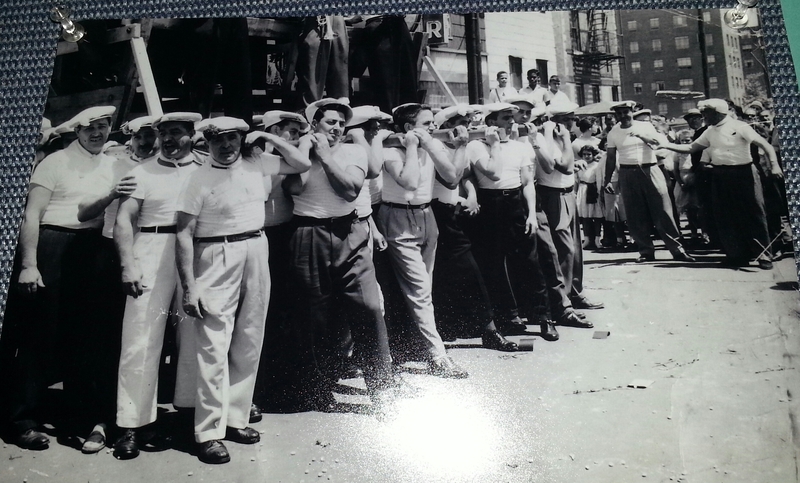 Many hands (and arms and backs) make light work. 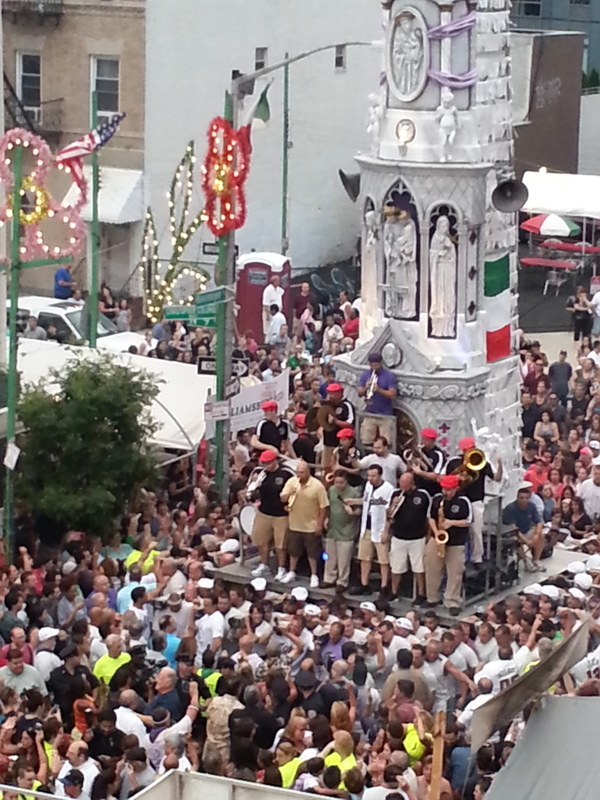 Muscles-in-movement: the 4-ton Giglio Tower and Italian music band is carried by 350 men. 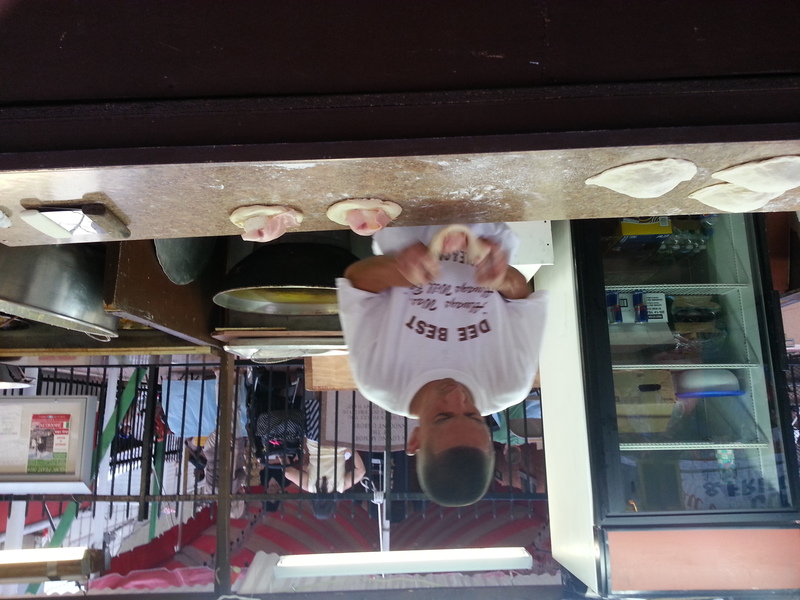 The Feast is the highlight of the year for many – drawing old-timers and new-comers. 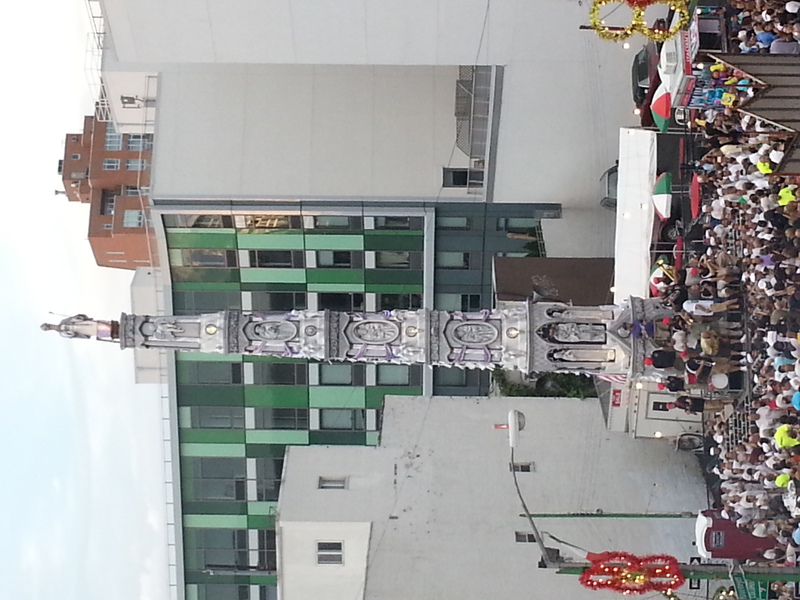 The tradition of beautiful devotional art – carefully adorned by dedicated, reverent volunteers. 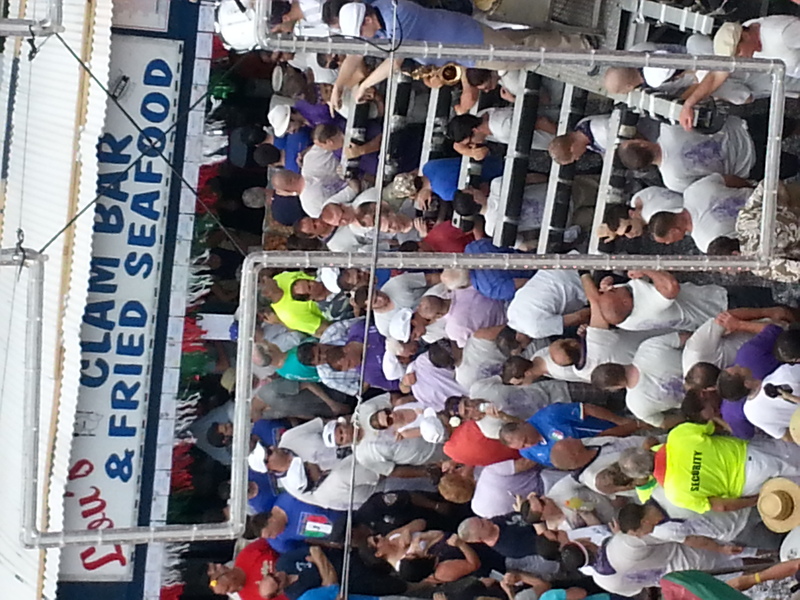 Sounds, scents, scenes to be enjoyed by all at Giglio Feast. 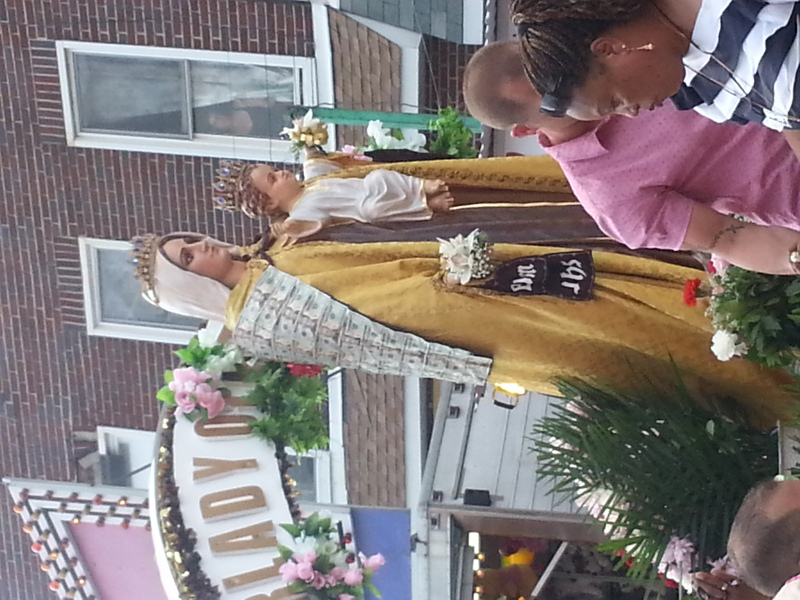 Our Lady of Mount Carmel – Procession of the Statue: showcases a beautiful example of Italian Devotional Art and tradition. 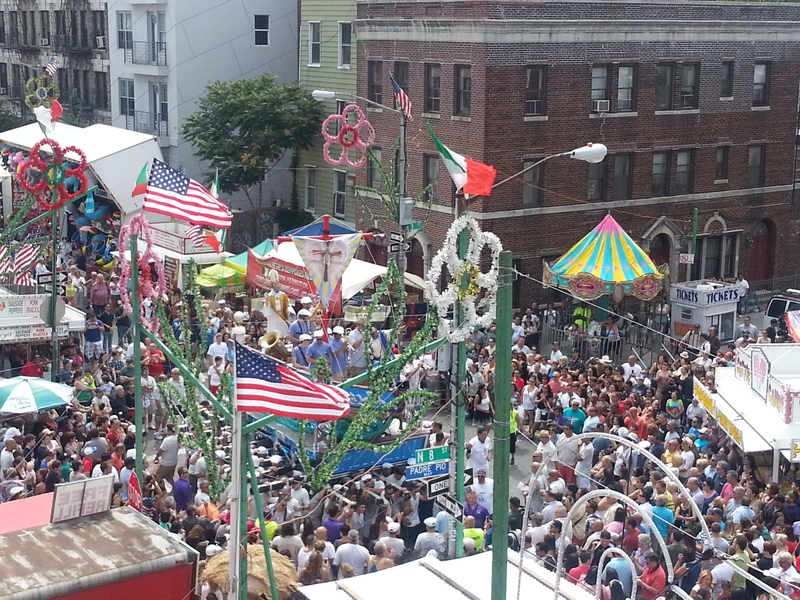 Enjoying the Italian-style foods and treats are a highly-anticipated annual treat for many Giglio-goers! Con Brio! 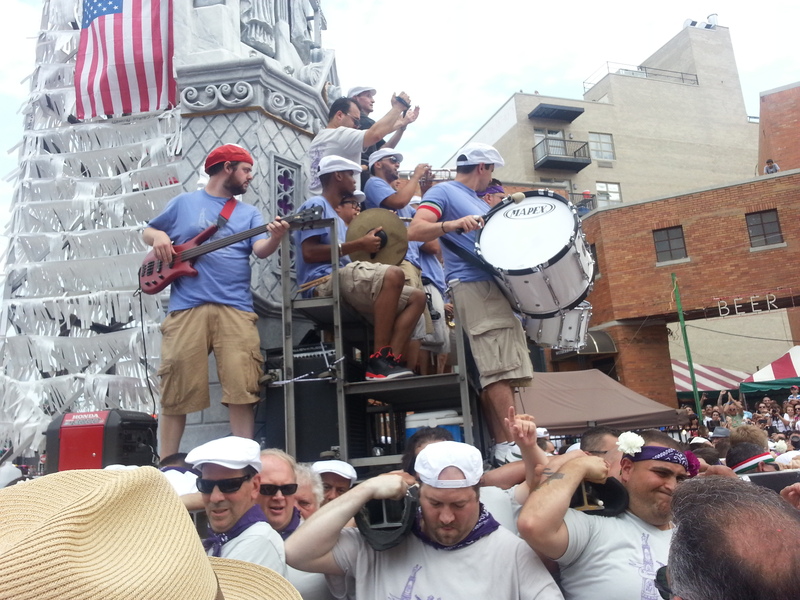 A capo directs the Giglio lifters with great energy and flourish – like a conductor leading an orchestra. 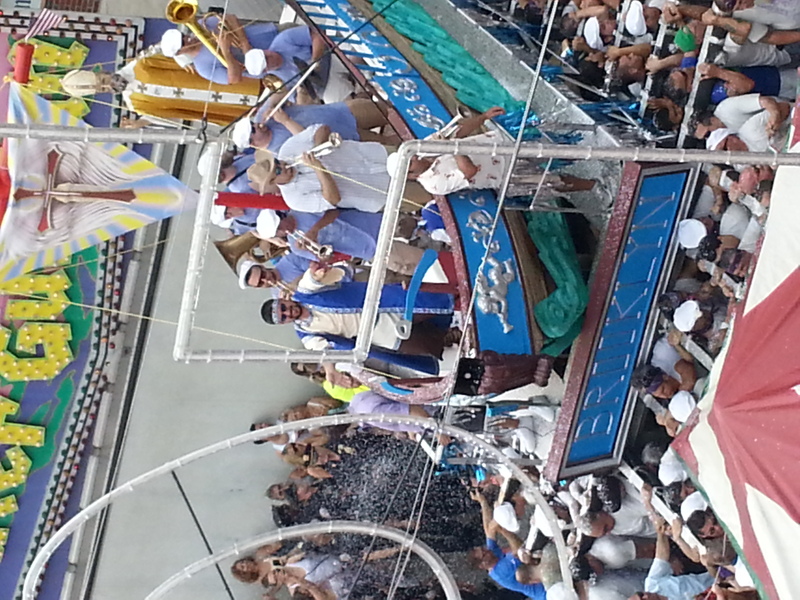 Moorish slave galleon brings the captive St. Paolino home to the shores of his Italian town - Nola. 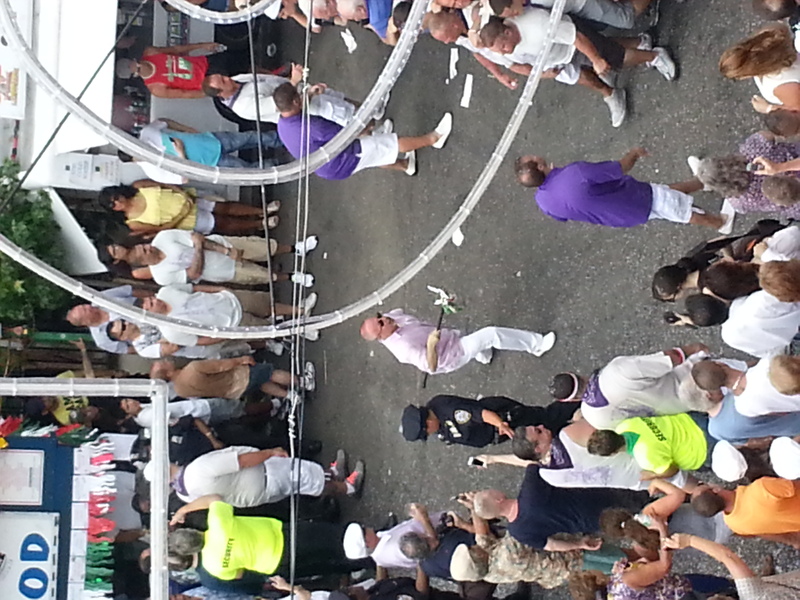 The dramatic re-enactment of Bishop Paolino’s release from captivity mesmerizes the spectators and touches the actors and participants. 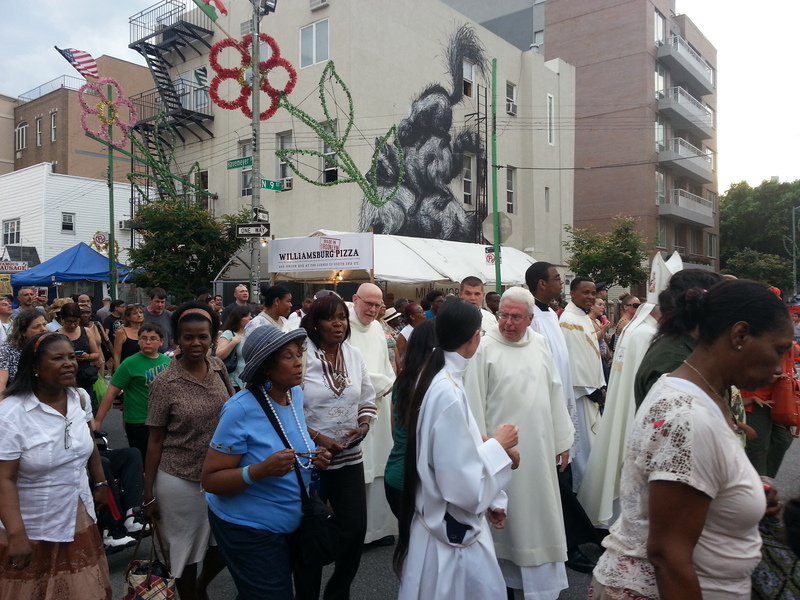 OLMC Parishioners and Giglio Feast participants are proud of their beautiful tapestry of heritage: Italian, American & Roman Catholic – U.S. and Italian flags are displayed and the “Padre Pio” street sIgn is evident. 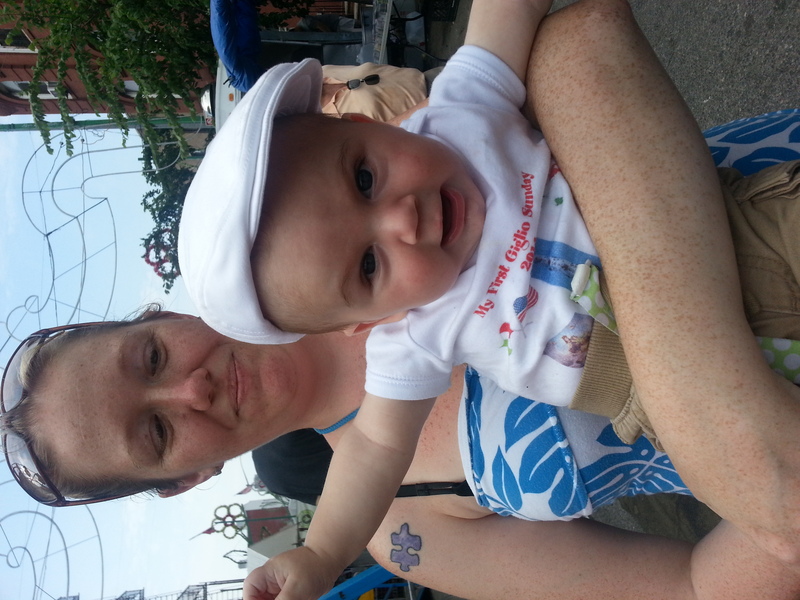 Future ‘Capo Paranza’: in the year 2045? 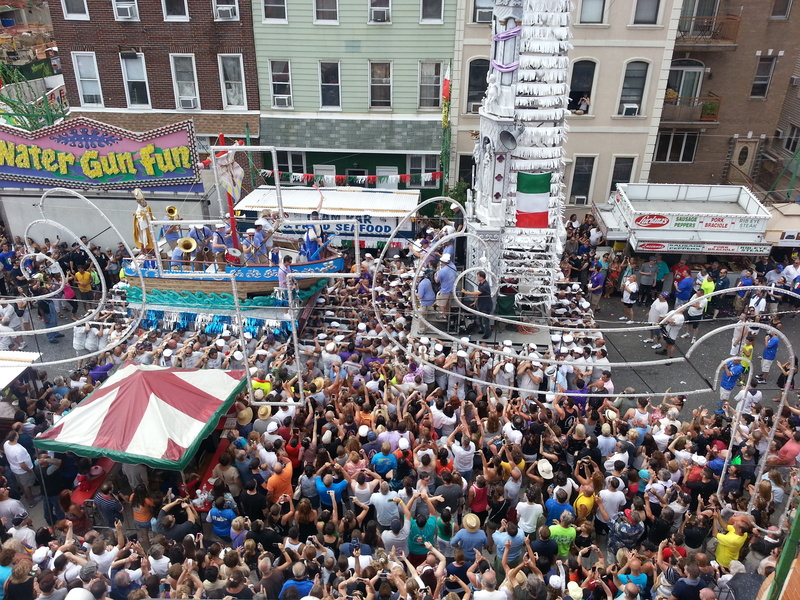 The ambiance and “vibe” of the Giglio Feast is a rare and wonderful experience of fun, spirit, and community togetherness! 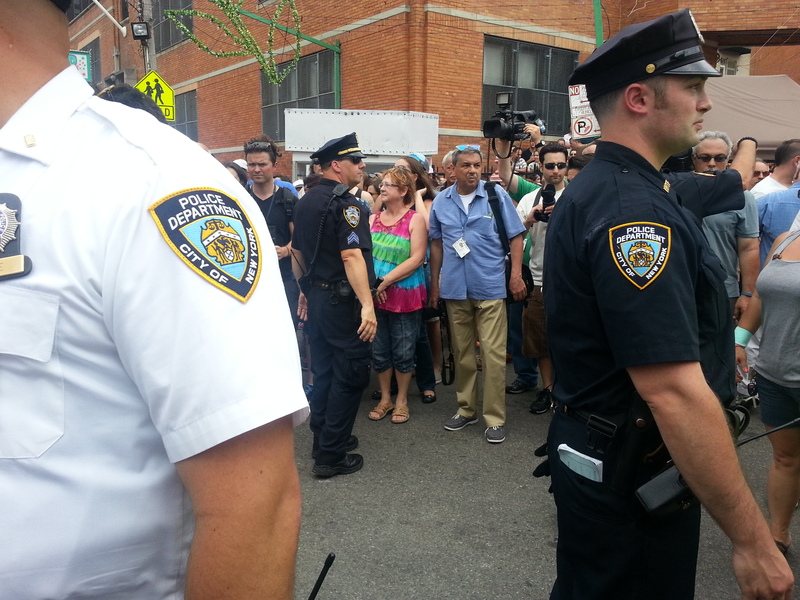 New York’s Finest and mutual respect are annual features of the Feast. 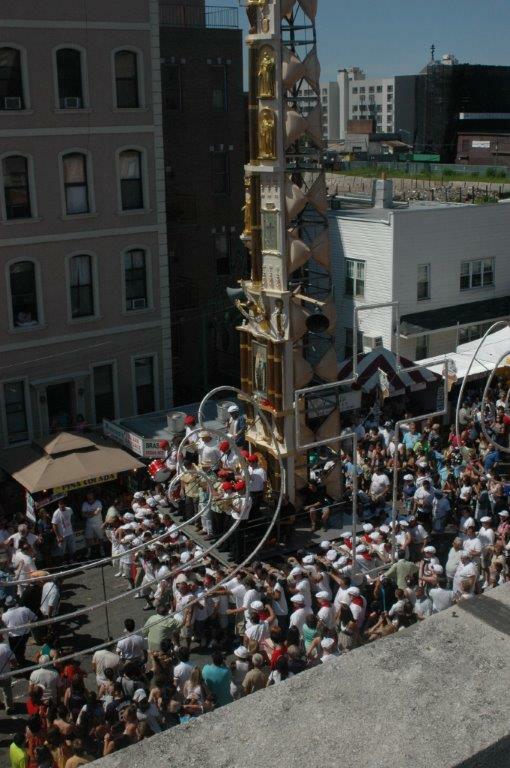 Generation of Italians and Italian-American Brooklynites pass on the tradition of the “Giglio Lift” . 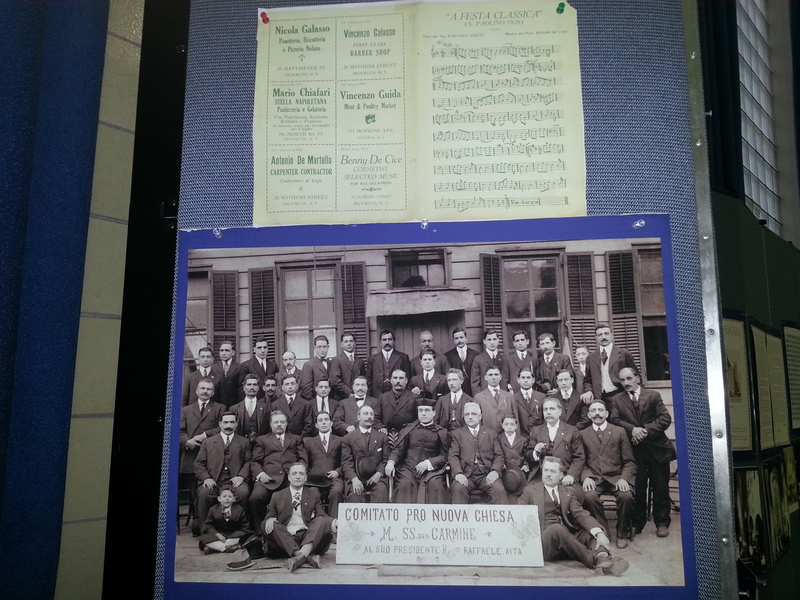 Historical artifacts of the Feast’s 125-plus years’ history can be viewed in the Feast’s OLMC Italian Café. 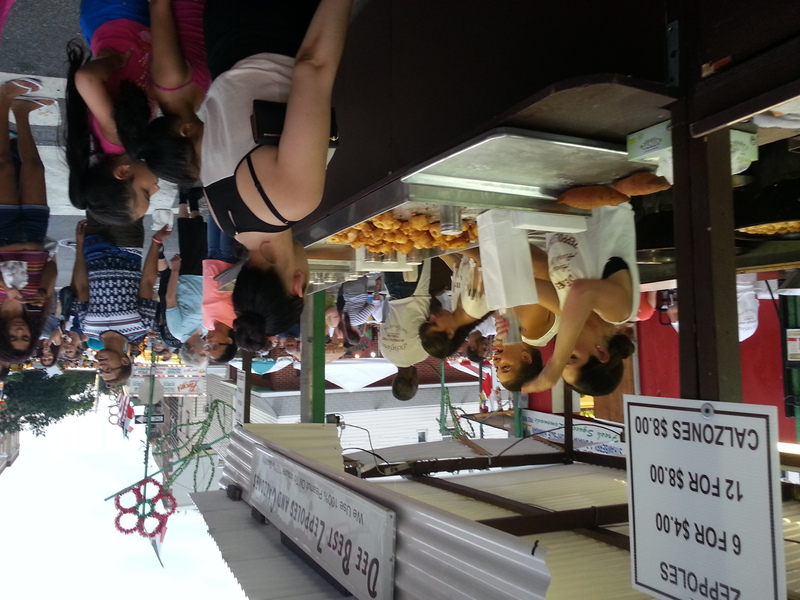 Moms and Kids flock to get the must-have zeppoles and calzones. 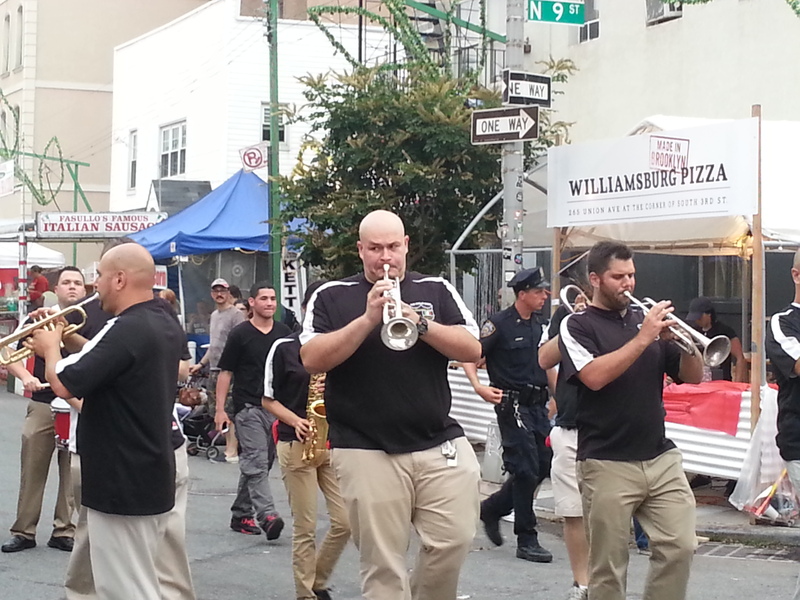 A very devout and diverse congregation of the faithful beyond those of Italian Heritage make up the Brooklyn parish of Our Lady of Mount Carmel. 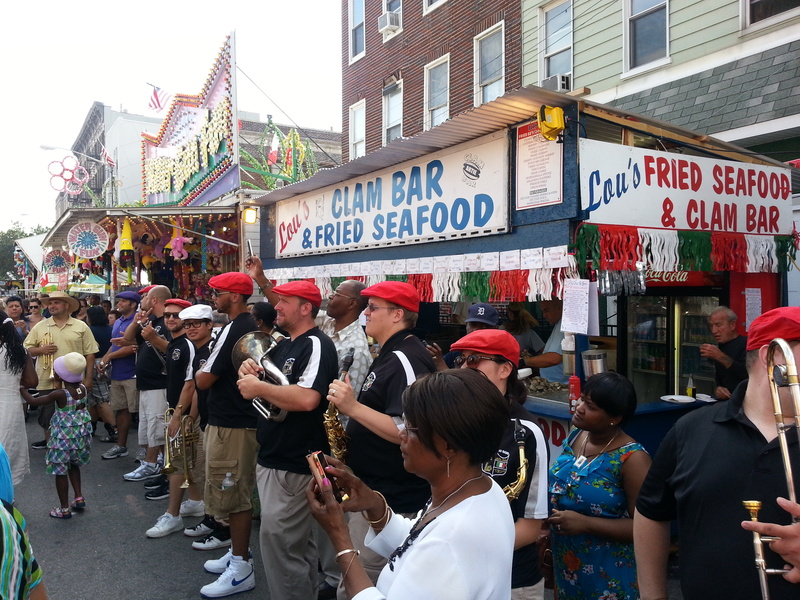 Lively Italian music is performed frequently, enhancing the festive atmosphere! 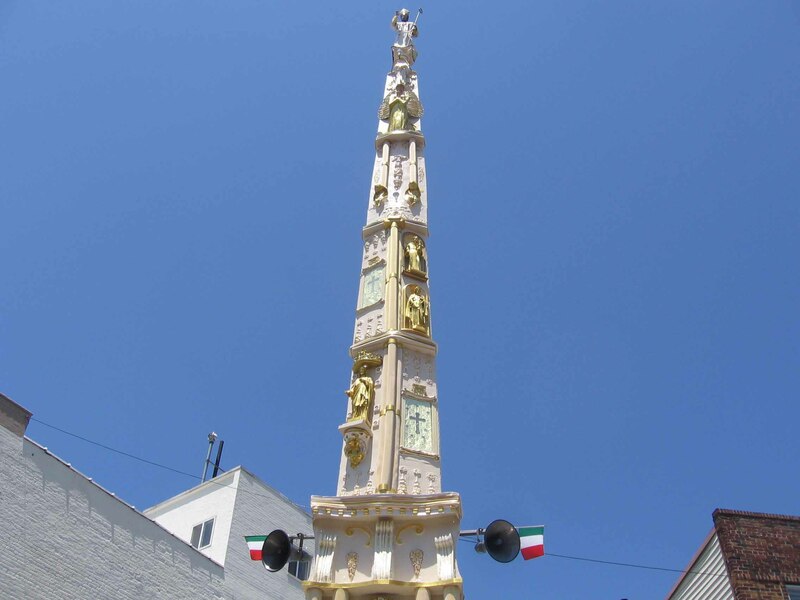 The World Famous Towering “Giglio” – 72-foot-tall and 4 tons!